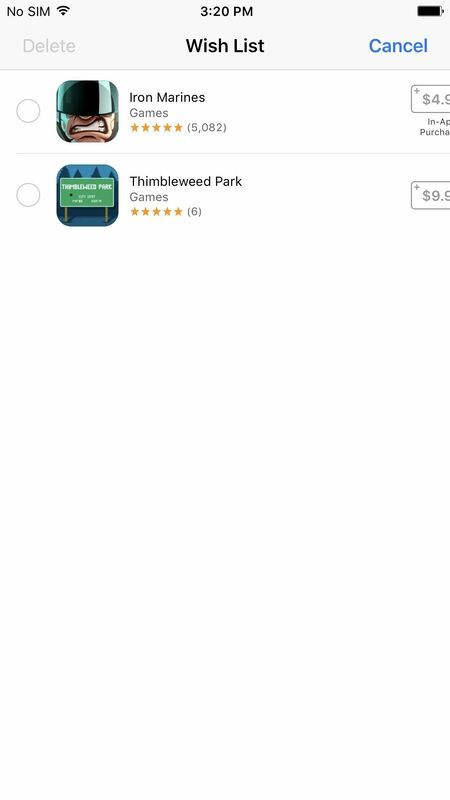 Whether you used it to remind yourself to buy a game or to store away that app recommendation that your friend begged you to download, the "Wish List" in the iOS App Store was a useful tool to keep track of new apps you might have wanted to install on your iPhone. But how can you access your Wish List in iOS 11? You might be wondering why I was using past tense above. Maybe you have a feeling of dread creep over you as you wonder that. Maybe you already know what happened. 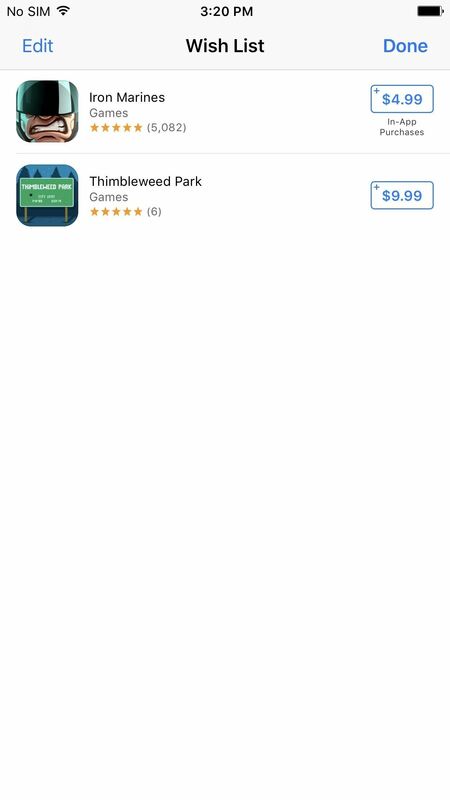 If you haven't figured it out by now, I'm sorry to be the one to tell you — the Wish List in the App Store is officially dead in iOS 11. Yes, it's true — once you update your iPhone to iOS 11, your Wish List will be a thing of the past. There's no telling why Apple would do away with such a handy feature (it could be the result of iTunes 12.7 removing apps from it, since the iTunes Store app still has a Wish List feature), but if this change was absolutely necessary, it would've been nice to have some warning, Apple. I could have downloaded the apps that I had in there. Now I don't even remember what I saved for later. Say "goodbye" to this Wish List feature from iOS 10. People immediately starting to notice Wish List's untimely departure. Take Reddit user tinpanalleycat, who posted on Reddit asking where Wish List had gone to. It's dead, tinpanalleycat, and there's nothing we can do about it. Well, almost nothing. A while ago, to see what you had in your Wish List, you could downgrade iOS 11 back to iOS 10.3.3, but that's no longer an option since Apple stopped signing iOS 10.3.3 in October 2017. Alternatively, you could use iTunes to view your Wish List, but only if you haven't updated to iTunes 12.7, which removed all traces of the iOS App Store. If you were already updated to iTunes 12.7, you can downgrade iTunes as well. Not only is the Wish List gone from the new iTunes update, it's now impossible to download iOS apps and unhide hidden iOS apps from iTunes. Thanks, Apple. Going forward, the best thing you can do is make your own Wish List replacement. Notes is by far the best option since it creates a neat and tidy list of all the apps and game you want to buy later, but you can also use Reminders, Workflow, and other apps. While there are definitely some annoying issues like this in iOS 11, there are still quite a few good features you should be excited about. Make sure to check out our full roundup of iOS 11 features to see everything that's good about your newly updated iPhone. I made simple app to replace missing wishlist in iOS 11. It's called AppWish and it's free without ads. You simply add apps from AppStore via share extension and done. Hope it helps. 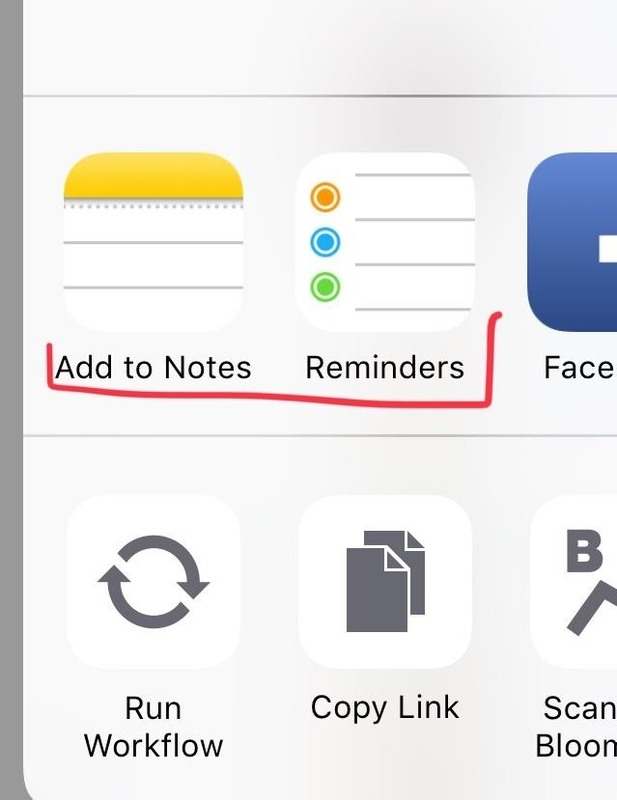 A simple solution is to add to Notes or Reminder in IOS. 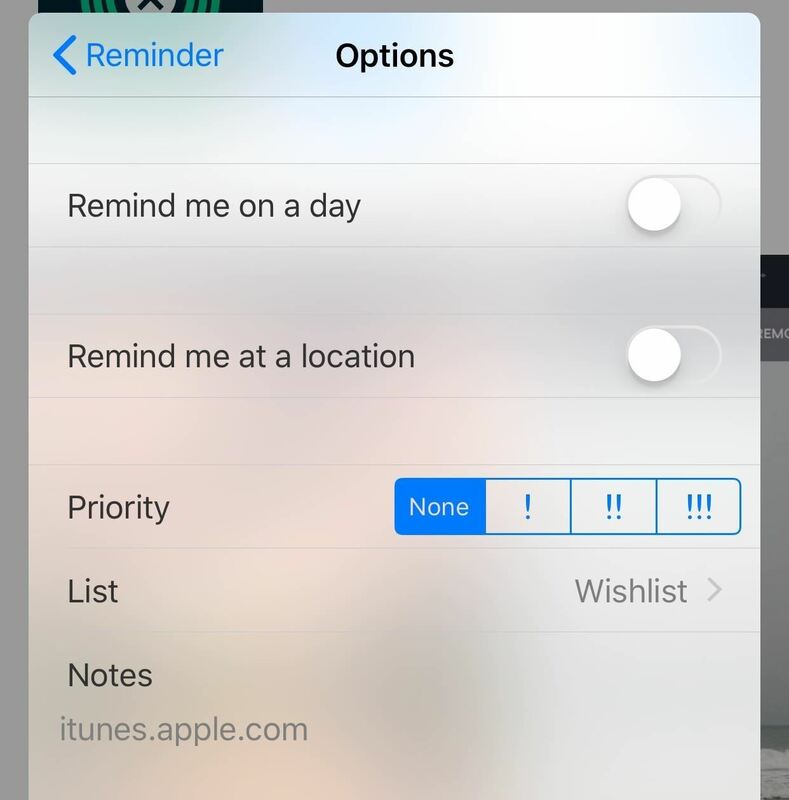 Step 3: Select Your Reminder List.